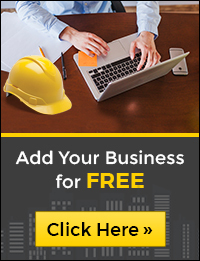 ProjectLink.com.au is specifically designed for key industry buyers to source products and services for their current and future commercial, residential, and industrial projects. Thousands of buyers including architects, engineers, project managers, government officials, construction managers and many others use this portal to source products and services for their upcoming and existing projects. This is the most comprehensive range of building materials and building products supplier directory. It lists everything from architecture and building construction to the final touches on lighting, flooring, decking, doors and door hardware. From the starting point of road design to construction, traffic management and road safety, ProjectLink lists the best resources. If you are suppliers for road maintenance, road marking or the widest range of road safety resources list your business here. ProjectLink is the primary source to find landscape architects or designers to construction equipment for building to installing street furniture. Planning parks and outdoor spaces is easier and more efficient with us. From rail vehicle design to high speed and suburban trains, ProjectLink lists the businesses that offer the widest range of railway products and services from rail anchors and sleepers to sources for bogies, wheels, axles and many more. From construction equipment for port development and design, shipyards and ship supplies to navigation systems and technologies to terminal equipment and fittings, ProjectLink has everything that meets the challenges of port management and construction. Projectlink is the best source of finding details about mining services and equipments suppliers in Australia. From mining equipment to fire protection… security products and services to lighting, Projectlink lists the widest range of mining equipments. ( *Unlimited – Storefront holders are allowed to list their company under only those categories that are relevant to their business and products. Projectlink reserves the right to refuse any listing). To view a sample of newsletter, click here. Please contact ProjectLink.com.au on 1300 133 241 or email info@projectlink.com.au for your advertising needs.